Broilmaster Super Premium gas grills feature Broilmasters legendary cast aluminum construction, along with a spacious 695 square inches of total cooking area, 45,000 BTU Stainless Steel Bowtie Burner for precise control, multi-level 2 piece stainless steel rod cooking grids to cook a variety of foods perfectly, stainless steel Retract-A-Rack for added cooking space, stainless steel smoker shutter for slow roasting and smoking, and Flare Buster briquettes for perfectly even heat distribution. The Broilmaster P3SX gas grill also includes a heavy-duty stainless steel griddle for a more versatile cooking surface. 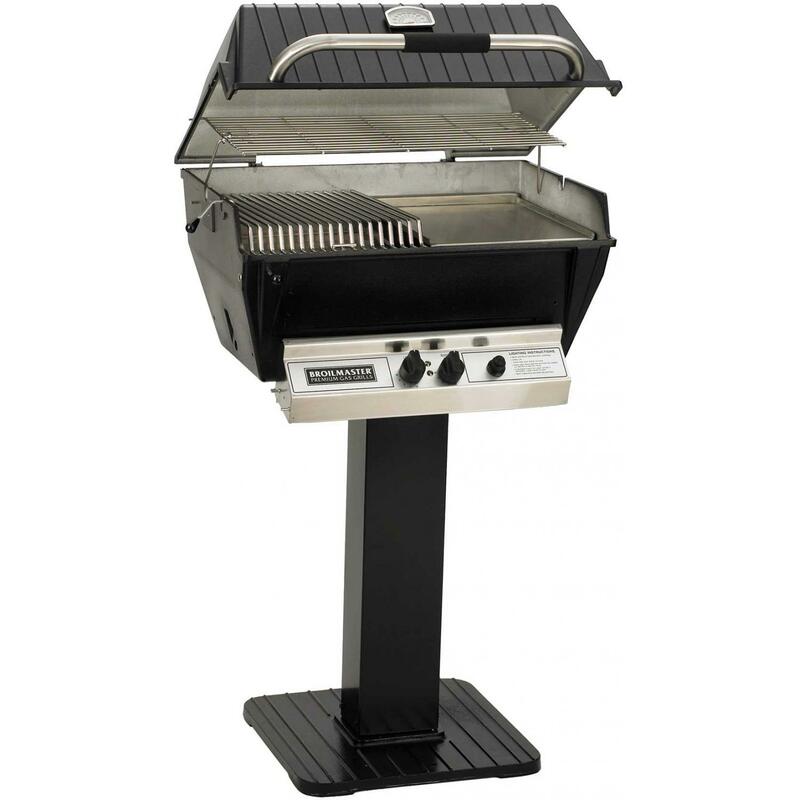 This grill comes with heavy-duty black painted steel patio post with cast iron base for bolt down installation.